The vibrant colours on the streets, mild weather, and pumpkins all around the city are just some of the things that make Toronto such a magical place in autumn. This post introduces ten events that deserve your attention throughout the season, so check them out and get out there and experience the fall vibe of the city! The Toronto Chocolate Festival is an annual, irresistible event for all Torontonians who can’t go a day without the taste of chocolate. Chocolate in all of its different forms and exquisite tastes will be celebrated at this 7th year of the festival. Throughout October, the best chocolatiers and pastry shops all around Toronto will take part in the chocolate madness by organizing tastings and offering special deals for customers. You can download coupons for discounts from the webpage of the festival. 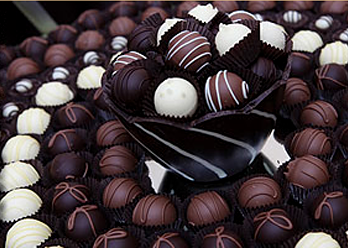 Chocolate addicts can also use the opportunity to enjoy the Luxury Chocolate Show at Roy Thomson Hall or the 6th Annual Chocolate Ball Gala: Cocoa Cabaret. One of the famous features of the festival program is a crazy 911 Chocolate Relay — a fun event in which firefighters, police, and paramedics challenge each other in a huge chocolate battle. The firefighters currently hold the throne as the biggest chocolate eaters in town, but paramedics and police are ready to give them a hard time defending their champion position! 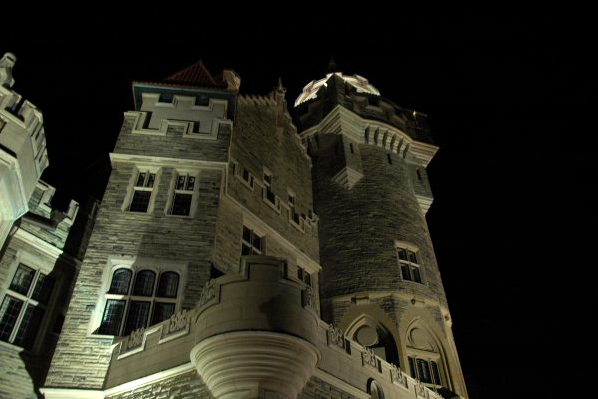 Visit Casa Loma to investigate the presence of the paranormal under the professional guidance of real ghost trackers. Before setting off on each of the journeys, ghost trackers gather in the library to hear stories and tips on ghost catching. Everybody will get special equipment that should make it easier to find ghosts and possibly even capture them on camera while wandering around the dark castle halls. Don’t miss one of the spookiest events of the Halloween season that will turn your kids into brave ghost busters; however, it might be wise to consider the age and fear level of your children before joining. The Royal Agricultural Winter Fair is an extraordinary event that combines an indoor agricultural fair and one of the top international equestrian competitions in Canada. More than 340,000 visitors and participants come every year and will have a chance to learn about agriculture, see the work of the best Canadian and international growers, breeders, and champion exhibitors, shop for great products, and take part in several competitions prepared by organizers. 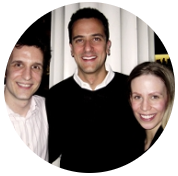 Several celebrity chefs, including Curtis Stone and Bob Blumer, will also show up to share some of their mastery. Join in to celebrate agriculture and reconnect with your environment during the 90th season of the amazing Royal Winter Fair! The Day of the Dead Festival is one of the major celebrations in Mexico. Throughout the weekend, people commemorate their ancestors by honouring them with offerings of their favourite food, singing and dancing to the songs they used to like, and remembering all the nice moments spent with them. The Harbourfront Festival of the Dead decided to maintain this tradition and invite all Torontonians to learn and experience the best of Mexican culture through concerts, workshops, food tastings, and many other festivities. Don’t miss the chance to create your own colourful skull decoration! The Rendezvous with Madness Film Festival returns with its 20th year to explore mental illness and addiction from an artistic point of view. As cinema is one of the most common ways of representing mental illnesses, the festival offers a unique chance for the audience to see the stories of others unfold and get immersed in a huge variety of human experience that’s often not publicly discussed. The TIFF Bell Lightbox was chosen as the main screening venue, but some films will also be presented at the Workman Arts and the Centre for Addiction and Mental Health. “We live in the greatest city in the world! That’s Toronto!” Most of us remember the words of mayor Rob Ford during his welcoming speech during last year’s Calvacade of Lights at Nathan Phillips Square. Few Torontonians can imagine the start of the holiday season without the amazing celebration taking place on the last weekend of November. 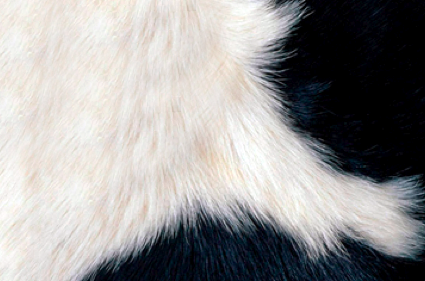 The tradition is dear to our hearts and the 2012 show will mark the 46th annual celebration. While the Calvacade of Lights originated with an intention to showcase the newly constructed City Hall, the focus of the night has somewhat shifted ever since. The show has grown into an amazing celebration of Toronto and the festive season, full of musical performances and fun. For several years in a row, the show has been hosted by Breakfast Television’s Kevin Frankish. Organizers try to keep the live music show as varied as possible, so that lovers of jazz and rock or soul can all be satisfied. 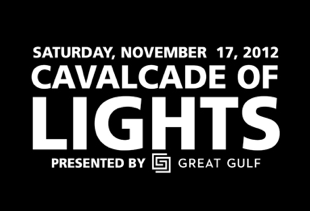 Some of the stars that took part in the Calvacade of Lights holiday concerts include Juno-award winners Jarvis Church and Kellylee Evans, Dragonette, Serena Ryder, and Nikki Yanofsky. A skating party is also a part of the programme. However, while all the festivities are great, the most anticipated moment of each year is, of course, the lighting of the city’s official giant Christmas tree followed by a spectacular pyrotechnic finale. It takes about three weeks for a team of workers to prepare the tree, as it has about 100,000 energy-efficient LED diodes and 18,00 decorations on it. After its grand official illumination, the tree shines every day until January 1st from dusk until 11:00 P.M. If you’re not able to make it down to Nathan Philips Square this year, you can watch the ceremony through one of the many displays around the city. There are light shows taking place in Little Italy, Waterfront, Yorkville, Yonge-Dundas Square, and many other places. Twice a year, Woofstock celebrates dogs and everything associated with them over one weekend full of events and activities. The Direct Energy Centre at Exhibition Place hosts the indoor winter festival that offers shopping, shows, contests, best exhibitors, exclusive lines of toys and treats for your animal friends, and much more. All dog lovers in the city unite and the atmosphere of every Woofstock is just incredible. Admission for kids and dogs is free, while adults have to buy tickets. Celebrate your dogs, introduce them to new canine friends, spoil them, and show off their skills in the world-famous festival! 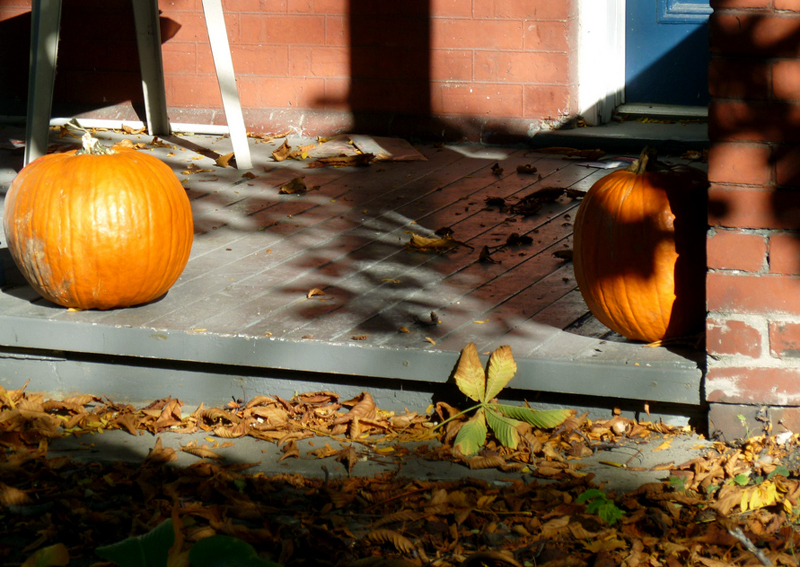 Do you know about any other autumn events in Toronto that shouldn’t be missed? Let us know!